There are many different kinds of leashes on the market today; each one has its own practical and aesthetic appeal. So holding the end of the leash is going to be different with each kind. When shopping for a leash, you will need to consider your dog’s size and age. Keep in mind that small dogs and puppies should have light weight leashes while larger dogs should have stronger and heavier leashes. There are different lengths of leashes available; the majority of leashes come in 4-foot, 6-foot or 8-foot lengths. For training purposes, a 6-foot length leash is ideal and recommended. The longer leashes are used when your training requires you to be at a distance from your dog. Leashes come in many different materials. The most popular leash today is the nylon leash. Its low price tag, along with the variety of colors and designs makes it a popular item amongst dog owners. 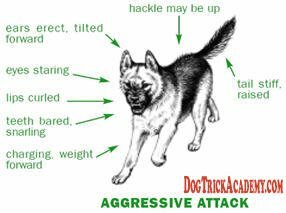 They are used in every day situations as well as dog training. But for those of you who want the absolute best, the leash of choice is made of leather. These leashes are more attractive, but most importantly, they are superior in strength and are much easier to hold a grip. There are also leashes made out of cotton, which are also easier on the hands than nylon, especially if the dog tends to pull. Cotton leashes can be bought in very long lengths, some up to 30-feet long, making them ideal for training outside or in any unenclosed outside areas. Retractable leashes have gained popularity in the last few years. They have a unique feature to extend and retract automatically while the dog moves around. This gives the dog more space and freedom to walk while avoiding the leash from getting tangled in his legs. These leashes are usually higher priced than regular nylon leashes. A retractable leash is definitely not recommended for dogs that aren’t already trained to walk on a loose leash. 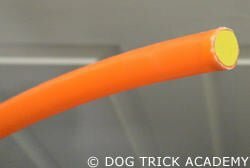 Many dog trainers believe that these leashes encourage the dog to pull; the mechanism of the leash creates a constant pressure on the dog’s collar, which leaves the dog unable to tell when the leash is tight or loose. For situations when you need to keep your dog close to you, a traffic leash can be useful. Usually made of leather, traffic leashes are between 15 to 18 inches long and feature a large handle loop. A large dog can easily be held close to your body if equipped with a traffic leash. When training agility equipment or any other activity that involves obstacles, it’s often recommended that people use a training tab or a short leash of about 8 inches long. The reason for using these short leashes is to avoid the dog from getting caught in the obstacles or in his legs, while still allowing you some control over the dog if the need ever arises. It is very useful when beginning training your dog as you can use the leash to lead him through an obstacle or catch him before he runs off. Learning how to hold the end of the leash properly can avoid many potential problems. Many dog owners make the mistake of wrapping their leash two or three times around their hand. This can be very dangerous for you safety, since it leaves you unable to let go of the leash if you ever need to, especially when walking a bigger and larger dog. A proper and effective way to hold the end of the leash is to insert your thumb in the loop at the end of your leash, and to grab the middle of the leash or any distance you need. 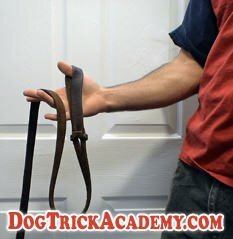 With this technique you can add or remove length to your leash by grabbing further or closer to your dog. Overall, holding the end of the leash is a personal matter and you may choose to hold it whatever way you like, but now you will know of a new way to hold it. Try it during your next walk and see if you think it could be beneficial. The Mini Husky has emerged on the scene in recent years as a smaller companion sized version of the Siberian husky. The Mini Husky has been well received by dog owners as a more feasible alternative to their standard sized counterparts. However the debut of this diminutive little dog has not been without controversy. The biggest topic of discussion surrounding the Mini Husky is their very existence. Some people believe that there is no such thing as a Mini Husky and that a smaller sized Siberian Husky shouldn’t be classified on its own as a Mini Husky. My research has determined that a Mini Husky is not a new and separate breed. 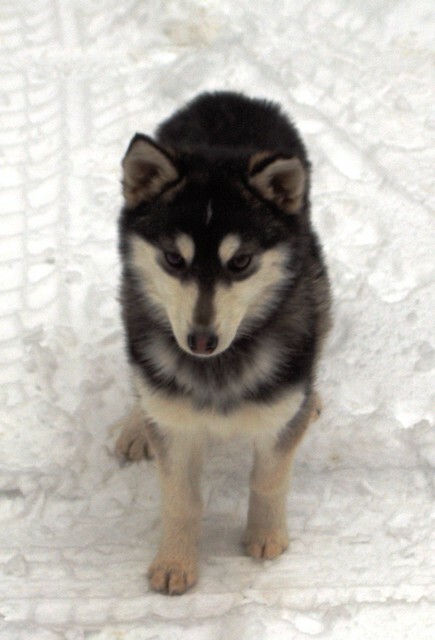 They are instead a smaller version of its standard sized counterpart the Siberian husky. Temperament, health, and looks all remain the same while only the weight and height is different. Some Mini Husky enthusiasts state that by decreasing the size of the Siberian Husky, the dog’s lifespan is increased and incidents of hip dysplasia decreases. This could make the Mini Husky a more suitable companion for families living in smaller quarters or families that must abide by weight limits enforced by homeowners or condo associations. Mini Husky owners that have owned the standard sized dogs previously have found that with the decreased size of the dogs they have less problems with separation anxiety simply due to the fact that the dog is more easily transported and remains with the family instead of staying at home. Mini Husky owners have also noticed that since the dogs are shorter they are not able to scale their fences and there have been less issues with dogs escaping. Like all huskies the Mini Husky does possess the affinity for running but would probably not be suitable for pulling sleds. Due to the lovely temperament of Siberian Huskies, they are usually easily rehomed if an owner is no longer able to care for the dog. Most Mini Husky breeders will accept a dog that they’ve bred back into their homes at any point in their lives. The group maintains a huge waiting list of individuals who desire an adult dog rather than a puppy. The Mini Husky was originally developed by Bree Normandin in the late 1990s. The dogs weren’t made publicly available until December of 2004 when for the very first time a puppy was placed with a new owner via the internet. The Mini Husky is still very rare with only a handful of authorized breeders involved with the dog’s continued development. Breeders are reporting having to utilize a waiting list because the demand for the dogs exceeds the current supply. A Must Watch! Amazing Pet Show! My father e-mailed me this amazing pet show video today, I thought it was so great and special that I had to create a blog post about it! It’s only about 5 minutes long but well worth every second, especially the ending! As I watched this pet show, I wonder how much time and effort went into training these dogs. I wonder what training techniques they used to achieve this high level training and how they were able to coordinate the entire show. I’ve trained my dogs to do quite a few tricks over the years but never anything quite to the caliber that is demonstrated in this pet show. I found this inspiring and showing what actually can be done if we really set our mind to it. 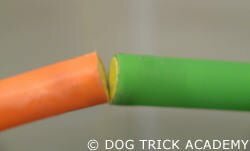 Since I am experienced in training dogs, I was able to spot several signals, in the beginning obviously the whistle being used was a signal, but throughout the video there were several distinct hand and body signals. Overall, this was an outstanding performance and would love to see it live in person. I think that the best trick performed in the pet show is the two dogs standing together while getting other dogs jumping above them. You can clearly see that both of the dogs are cautious to get hit as they tilt their heads back. There definitely must have been quite a bit of training involved to get this behavior. What do you think? Leave a comment below if you enjoyed watching this pet show and which trick ‘awed’ you the most! In today’s world, we are often told by our veterinarians that dogs are susceptible to many illnesses, infections and diseases. In this article, I will talk in details about the well known disease known as canine heartworms (worms in dogs). This disease is formally caused by the parasite Dirofilaria immitis which has taken the name heartworm over the years because it resides in the heart and major blood vessels of the dog. For the majority of cases, dogs are infected through a mosquito bite. The mosquito releases larvae worms in dogs which then grows to maturity and begins to reproduce in approximately six to seven months. The signs that a dog is infected vary greatly on the amount of worms the dog is carrying. A dog that is carrying only but a few worms may not show any signs of illness, while a dog with a heavy load of worms may be lethargic, lose weight, cough during exercise or even pass out. Dogs with severe cases may even suffer from heart failure. 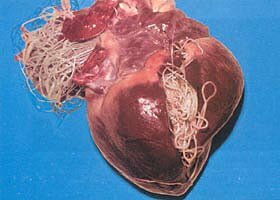 Heartworm disease can be cured by first poisoning the adult worms and to eliminate them from the dog’s system. The dog must be hospitalized during this process so that the veterinarian can monitor any complications that may occur, such as arteries being obstructed by the dead worms..
Three to six weeks later, the dog must be hospitalized again so that he can be treated to kill the baby worms which are still in his system. A dog is usually hospitalized for another eight hours. Prevention is a far better treatment and it will save you lots of time, concerns and money. There are a few types of medications available today for preventing heartworm disease (worms in dogs). Some are only effective against heartworm disease, while others are also used to control hook worms, roundworms, whipworms, fleas and ticks. It is important that you always consult your veterinarian before giving your dog any kind of medication. He is the most qualified person to guide you in the right direction. Diethylcarbamazine (DEC) is given daily and protects only against heartworms. Heartguard Plus and Interceptor are given monthly and also protects against hook worms, roundworms and whipworms. Sentinel is a monthly tablet that protects against heartworms and fleas. Proheart is administered by a veterinarian and lasts up to six months. Revolution is applied to the skin and protects against heartworms, fleas, ear mites, mange and ticks. Overall, worms in dogs are something that every dog owner should be aware of and is actively taking precautions according to their veterinarian’s advice. Service dogs are a type of assistance dog, specifically trained to help people with physical mobility limitations to reach high or low places, or to open doors and turn on the lights. Other duties may include moving wet laundry to the dryer, or they may help in public by pulling a wheelchair up a steep incline. Other service dogs may also be trained to detect medical problems and to warn the authorities. Some does have been trained to warn their handlers of seizures before they happen and to contact the medical emergencies by pushing a button (already preset to contact). Service dogs have a very varied range of jobs and duties. Some handlers rely on their dog to pick up dropped items or reach high counter tops. Since the dog performs many physically demanding tasks, it is very important that service dogs be physically strong enough to keep up with his daily chores. The majority of service dogs are Labrador retrievers, Golden retrievers or a mix of these two breeds. 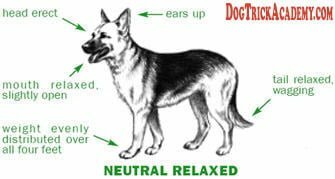 However, there are also German shepherds, Rottweilers and other herding, gun and mixed breeds working as service dogs. Not every dog is up to the task of being a service dog. Although some service dog organizations breed dogs especially to serve this role, others adopt young adult dogs from shelters. The service dog is always matched with a person after he/she has been trained and is ready to help someone in need. 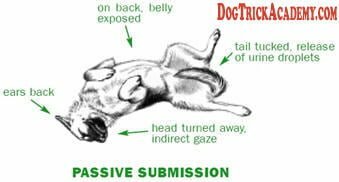 Since the range of physical limitations is great and vary differently from people to people, it is important that the dog is able to learn new behaviors and commands once he is placed with his handler. Service dog handlers often rely on their dog for emotional support as well as physical help. For many people with disabilities, leaving their homes and interacting with the public is difficult. But having a dog at their side can give them comfort, confidence and security that they need. So you want to train your dog to jump through a dog hoop? 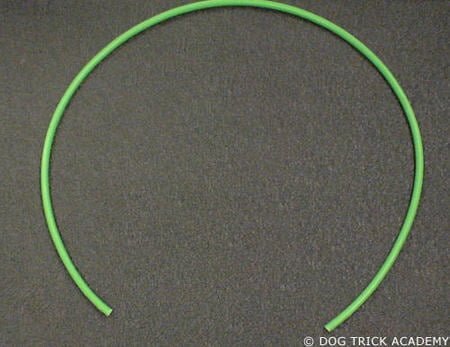 In this article, I am going to show you how to make a dog hoop that is SAFE for your dog. 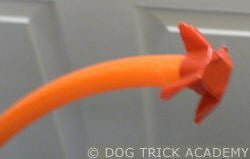 When a dog jumps through a dog hoop, there is always the possibility of the dog injuring himself by accidentally hitting the dog hoop with his legs. 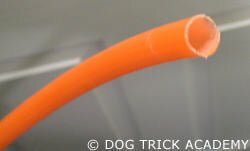 So below, I will take you on a step-by-step guide to building your own safe dog hoop. 2 small plastic hoops (approximately 22″ in diameter). You can find some very cheap ones at your local dollar store (my two hoops cost me a total of $2). 4 disc plastic magnets (half an inch in diameter or small enough to fit in the hole of the hoop). You could use any type of magnets really, but for the hoop to work well, you should use magnets that fits perfectly in the hole of the hoop. I purchased my magnets at www.kjmagnetics.com for $4 (+ shipping). 1 Metal saw to cut the hoops. You could use anything really, since it is only plastic. But I don’t recommend that you use a knife or scissors as you might injure yourself. 1 Hot glue gun with sticks. You could also use crazy glue or silicone, but the adhesive that you use must be strong enough to keep the magnets in place. The first thing that you must do is separate the hoops. There is a union somewhere on the hoops that is hidden by a piece of tape. 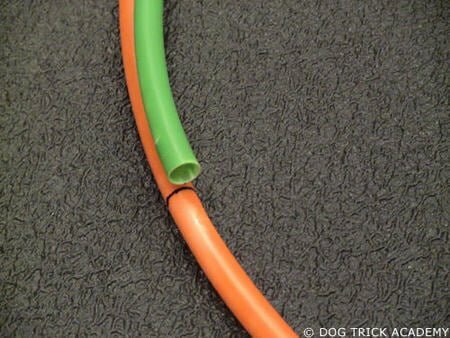 Remove the tape and take out the small piece of tubing that is holding the hoop together. As soon as you detach the hoops, you will notice that they will expand. Place the hoops on the ground and pull each side gently until the hoops are completely loose. Then place them one on top of each other, as to make one big hoop. 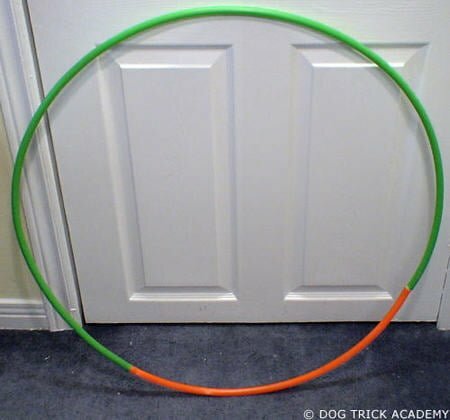 Position both hoops so that the big hoop is round. Draw a line where you will need to cut the hoop. 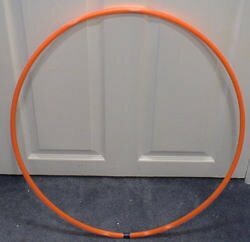 In the picture, I have to cut the orange hoop. Once the hoop has been cut, your next task is to glue the magnet inside each ends of the hoops. One very important thing to do before you glue them, is to check the polarity of each magnet. Each magnet has a north pole and a south pole, and one side can only attract the opposite. For example, a north pole can only attract a south pole. So before you glue the magnets, I recommend that you mark down with a marker which sides are what. Pour the glue from the hot glue gun into the hole of the hoop. Push the magnet inside and then put a piece of tape to hold the magnet. Then hang it upside down until the glue is dry. Once you’ve done this for all four ends, remove the tape and tada! That is pretty much it! Remember that if you’ve never trained your dog to jump through a dog hoop, make sure that you start LOW and to gradually increase the height. Keep it fun and enjoy your training! 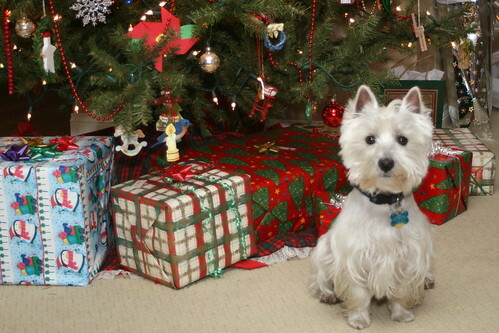 10 Dog Christmas Tips to Celebrate the Holidays! Christmas can be a very hectic time for everyone as we are all busy during the holiday season with decorating, shopping, food preparation and hosting guests. But this time can also be stressful for our dog if he isn’t prepared to deal with the sudden changes during Christmas. In this article, I will give you 10 tips that you should do in preparation for a happy dog Christmas. 1. If you are going to have guests over to your home at Christmas Day, it is important to give your dog plenty of exercise before your guests arrive. Take your dog for a long walk an hour or two before your guests begin to arrive. This will relief lots of excess energy I will make your dog calmer and more enjoyable for your guests. 2. If you are going to let your guests give your dog a treat, then it is important to tell them that they must sit your dog before giving him the treat. If your dog can perform tricks, then it is a great opportunity to showcase his skills and at the same time be very entertaining. Getting your dog to obey before giving him the treat will reinforce the hierarchy with your guests. 3. I recommend that you give your dog his meal / dinner before you begin your serving your guests their dinner. 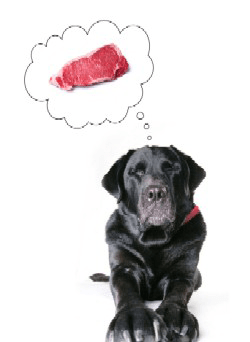 The reason is that if your dog is fully satisfied then he is less likely to bother your guests. 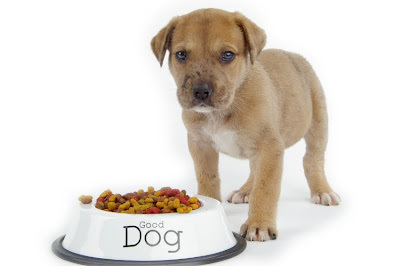 You may want to give your dog a special dinner to make sure that he eats it completely. Perhaps a mix of dry kibble with a can of wet dog food would persuade him to eat it all and would give him a great dog Christmas present. 4. Tell your guests to never give your dog any table scraps. Although this seems like a no-brainer you would be surprised on the amount of people that would drop something and wouldn’t think there is any problems letting your dog eat it. 5. Depending on how many guests you are expecting at Christmas, it may be favorable to ask one of your family members to entertain your dog in another room until all your guests have arrived. I wouldn’t recommend locking up your dog if he isn’t used to it, but strangers walking in to your home may be a little overwhelming to your dog. 6. If you are going to unwrap presents then I recommend that you do not let your dog play with any of the wrapping paper. That is because it could potentially cut them while they play with it or they could eat it which may cause digestion problems. The last thing that you want to do on Christmas is having to go to an emergency pet hospital because your dog ate something he wasn’t supposed to. 7. Give your dog something to do while your guests are in your home. You can take a Kong and stuff it with peanut butter or pieces of cheese and it will take him a while to get all of the goodies out. There are also those new “intelligent” dog toys that require dogs to solve puzzles before they can get to the treat. I don’t know the specific name of these toys but I’m sure if you Google it that you will find what you are looking for. Perhaps you could purchase this “intelligent” toy ahead of time which would be a great dog Christmas present! 8. If there are children coming to your home make sure that you tell them not to chase the dog. 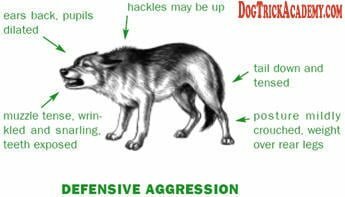 A dog will bite a child if he feels threatened or afraid, especially if a child is chasing him. It is important to supervise children and to make sure that they are treating your dog properly. 9. Prepare a quiet room or move your dog’s crate into a quiet room so that if your guests are too loud for your dog, then he will have a quiet environment to go to. 10. If your dog loves to play then make sure that you instruct your guests on how to play nicely with your dog. Sometimes guests have a little alcohol in their system and they can get carried away by throwing toys too high or down stairs which could potentially injure your dog.